The mountains are calling! 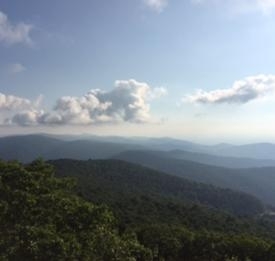 Spend a great day outdoors, following our Shenandoah National Park/Skyline Drive Hiking Tour or design your own tour using the hikes listed on our website. 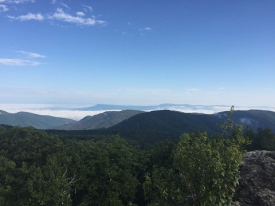 Choose from short hikes to long treks, waterfalls to vistas...whatever suits your mood, the Shenandoah National Park has it all! 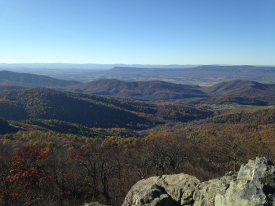 Potomac Appalachian Trail Club (PATC) Entry Run Tract is a beautiful local hike with options! Looking for a quick, easy walk? 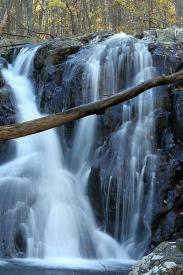 Try Quercus Loop Trail. Need something a bit more strenuous for a couple of hours? Entry Run Trail should work! 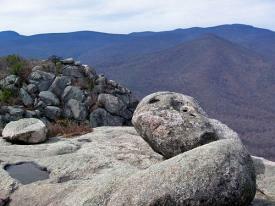 Best of all, these hikes are in our own backyard, free, and maintained by PATC. Limited parking is available at the end of Entry Run Rd and there are no restroom facilities. 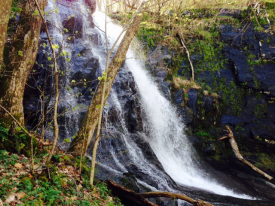 This round trip hike is an easy downhill journey with a very steep return, but the 70' cascading waterfall makes it worth every step. Dark Hollow Falls trail follows the Hog Camp Branch through a forest of defoliated hemlocks in one area and then is surrounded by hardwoods in another. 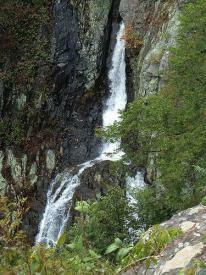 The trailhead is located at Dark Hollow Falls Parking, MM 50.7 on Skyline Drive in the Shenandoah National Park (SNP). Pets are not allowed. 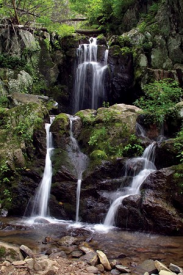 The trailhead for the beautiful 83’ South River Falls is located at the South River picnic area, MM 62.8 on Skyline Drive in the Shenandoah National Park (SNP). 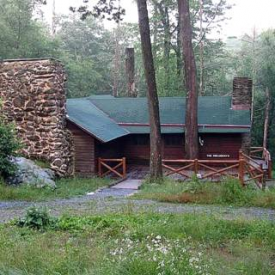 This round trip hike comes alive in spring with wildflowers and warblers. Before heading back up the mountain, take a break on the rock ledge, refuel, and enjoy the view of the 3rd highest falls in the park. Park at the Jones Run Parking area (MM 84.1) on Skyline Dr. in the Shenandoah National Park (SNP) for this fun hike. 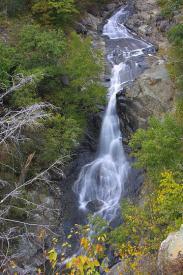 This trail has an easy descent to the falls and a moderate climb back to the parking area. 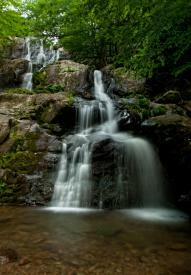 If you prefer a longer (6.5 miles), more taxing hike, take hike #2 described on the map; this option takes you past both Doyles River Falls as well as Jones Run Falls for a very scenic hike. 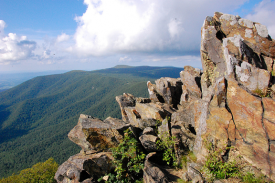 Bearfence Rock Scramble is a circuit hike located at MM 56.4 on Skyline Drive in the Shenandoah National Park (SNP) and can be completed in about an hour. Fun for kids and adults too, you will be pulling yourself up, over, and between boulders, using your feet and hands to reach an incredible 360° viewpoint. Pets are not allowed. 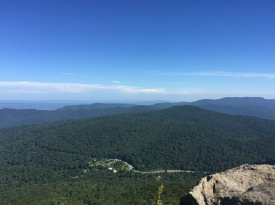 This easy hike follows the Appalachian Trail (AT) to the Stony Man Trail loop (you'll see a trail marker); to return, just follow the AT back to the parking area. 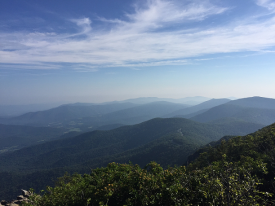 The spectacular views at the top overlook the Shenandoah Valley, the town of Luray, and the Massanutten and Allegheny Mountains. 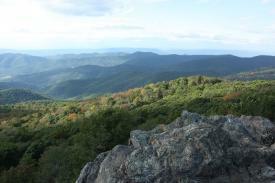 Hightop Mountain is a continuous 1.5-mile climb along the Appalachian Trail in the Shenandoah National Park (SNP). 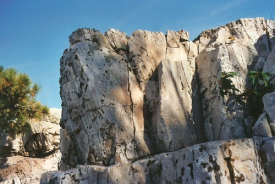 Hikers will be rewarded with a spectacular view at the top. Park at mile 66.7 on Skyline Drive for this round trip hike. The Greene County Community Park is located on Jeri Allen Way (past the Animal Shelter). The Park features: walking trails, a playground, soccer fields, an 18-hole disc golf course, a pavilion, and restroom facilities. 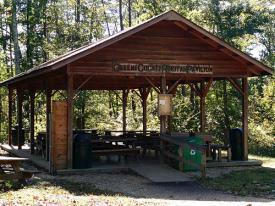 The Community Park Pavilion can be reserved for events by calling the Greene County Parks and Recreation office. 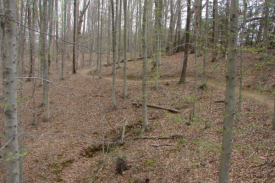 Located in nearby Barboursville, Preddy Creek Trail Park has 10 miles of trails for hiking, running, mountain biking and horseback riding.